Pork belly is the juicy meat from the belly of a pig. It can come bone in or boneless, flat or rolled up into a roast. 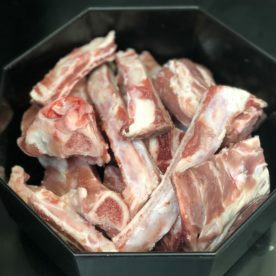 If you would like it cut up into strips please look for our Pork Spare Ribs.